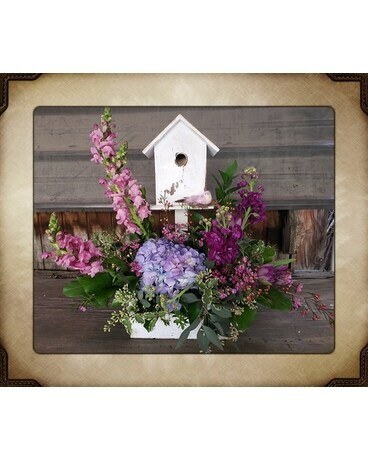 This beautiful bird house planter comes filled with fresh cut garden flowers in hews of lavender. This is the perfect flowers arrangement for any bird lover or gardener! Once the flowers are gone they can enjoy the planter all year by feeding the birds.